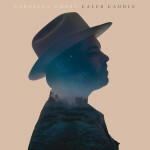 Following up his lauded 2014 LP, Paint Another Layer on My Heart, singer/songwriter Caleb Caudle will release Carolina Ghost, his third album, on 26 February 2016 via This Is American Music. Having relocated from New Orleans back to his native North Carolina, Caudle’s “Piedmont Sky,” the first single from Carolina Ghost, is an ambling Americana love letter to both his home state and fresh beginnings. Stream “Piedmont Sky” and pre-order Carolina Ghost on vinyl, CD and digital formats below.